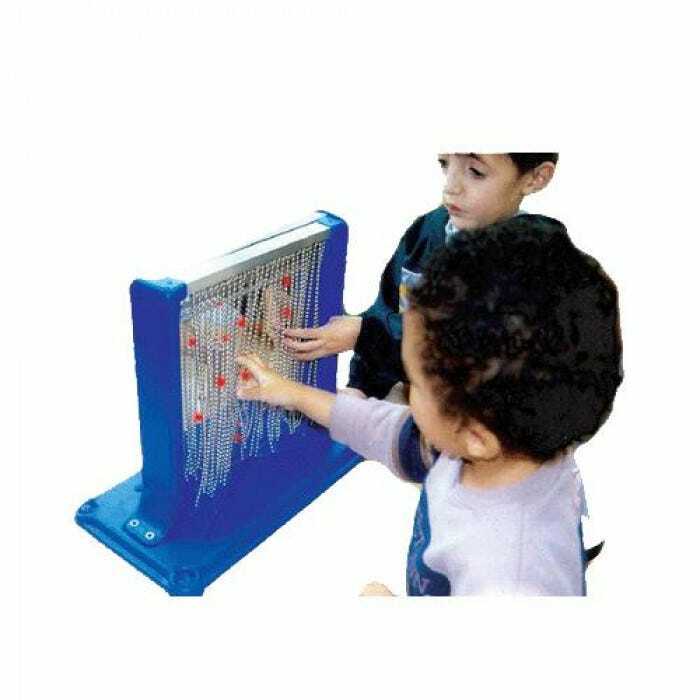 Bead chain curtain provides pleasurable somatosensory and auditory stimulation. Bead chain curtain promotes sensory motor skill development. Music turns on when the bead chain is manipulated, and stays on as long as the chains are played with. Chains encourage reaching and provide tactile feedback. Music provides auditory awareness and mirror encourages body identification skills. Also a fun way of teaching cause and effect. Can be used as an external capability switch (without music) when connected to a toy or device. Vibration provides additional tactile experience. 17-1/4"L x 8-1/4"W x 13"H. Operates with 4 AA batteries (not included).